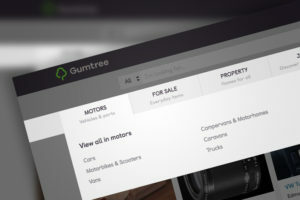 Gumtree is merging its motoring offering with eBay to operate as one business, which the company says will benefit sellers and customers alike. The key benefit cited by the merger is double exposure across both platforms for classified ads, reaching nearly 10 million users a month across the combined sites. Following the merger, Gumtree Motors and eBay are changing their pricing with the introduction of three new packages with add-ons available. Starting today, customers will be able to sign up benefiting from a promotional price and a price freeze guarantee for 12 months. Existing customers will be given the option to sign up to the new offering from today. Gumtree claims to be the fastest growing classifieds marketplace for motors in the UK, with 6 million users a month, while 3.7 million users a month visit eBay to look for a new car.